Bhagwad Gita - Was it Written for Buddhists? The Bhagwad Gita is replete with Buddhist themes and messages. The Chariot itself stands for the Noble Eightfold Path. Is the Bhagwad Gita a Buddhist Sutra? The Highest Chariot (Gita calls it rathauthamam) represents the Eightfold Path and the armies represent Samsara, Buddha as Krishna is our guide and charioteer. Buddha is known as Purisa Damma Sarathi -- or charioteer of men. 1)THUS HAVE I HEARD (Evam Maya Srutam)! This is what almost all Buddhist sutras begin with -- this identifies and differentiates Buddha Vacanam or Buddha's words from all other discourses. Thus have I heard the conversation of two great souls, Krishna and Arjuna. And so wonderful is that message that my hair is standing on end. 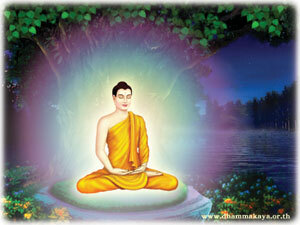 2)Buddha is remembered by the faithful since the beginning of Buddhism as "Purisa Dama Sarathi" or Charioteer of men. 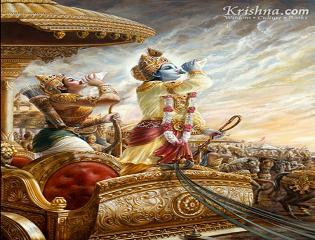 2)Krishna is shown as a charioteer and guide of Arjuna. 3)THE CHARIOT: The Noble Eightfold Path: The Buddhist "Divine Chariot" VICTORIOUS IN BATTLE is another synonym for the Buddhist Eightfold Path (see Janussoni Brahmana Sutta). Buddha says, "The noble vehicle 'Brahma yana;' the vehicle of the teachings, dhamma yana' and the incomparable vehicle of victory in Battle 'anuttaro sangama vijaya' are only different names, Ananda, for the Ariya Path of Eight Constituents." 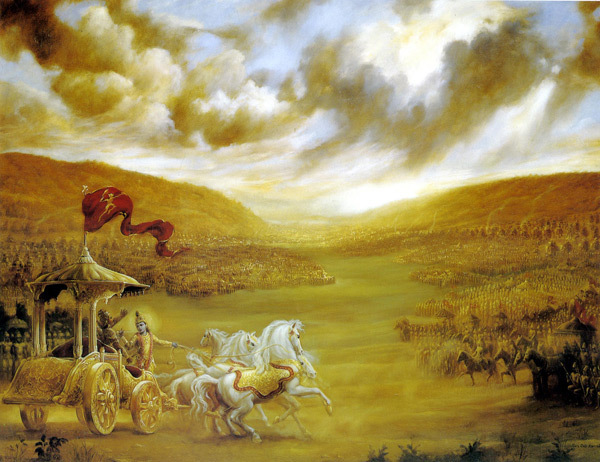 3)THE CHARIOT: BG 1:24, In the Gita is also drawn by white horses (BG 1.14) which Krishna guides to VICTORY IN BATTLE IN A YOGIC WAR OF DHARMA. This chariot is called " rathottamam" or the best of chariots! 4)REFUGE: Buddhists take "Saranam" or complete refuge in Buddha, Dharma and Sangha of saints -- this is how we become Buddhists and declare victory with this ultimate and highest refuge! May joyous victory be mine! Who was Krishna addressing? We get a clue from the first line of the Gita that Krishna (aka Sariputra) was addressing Buddhists. The first line states, "Dharma kshetra Kuru Kshetra". What do the Kurus have to do with the Dharma? NOTHING! There is no direct association in Hinduism between Dharma and the Kurus -- so a Hindu wouldn't know what Kurus have to do with the Dharma -- but a well read Buddhist would. 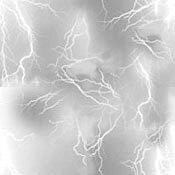 2)take not what is not given; 3)walk not evilly in lust; 4)speak no lies; 5)drink no strong drink." This is the Pancha Sila of the Buddhist that every Buddhist takes along with the Triple Gem refuge!!!! Krishna also says, "Buddhau saranam anvicche"